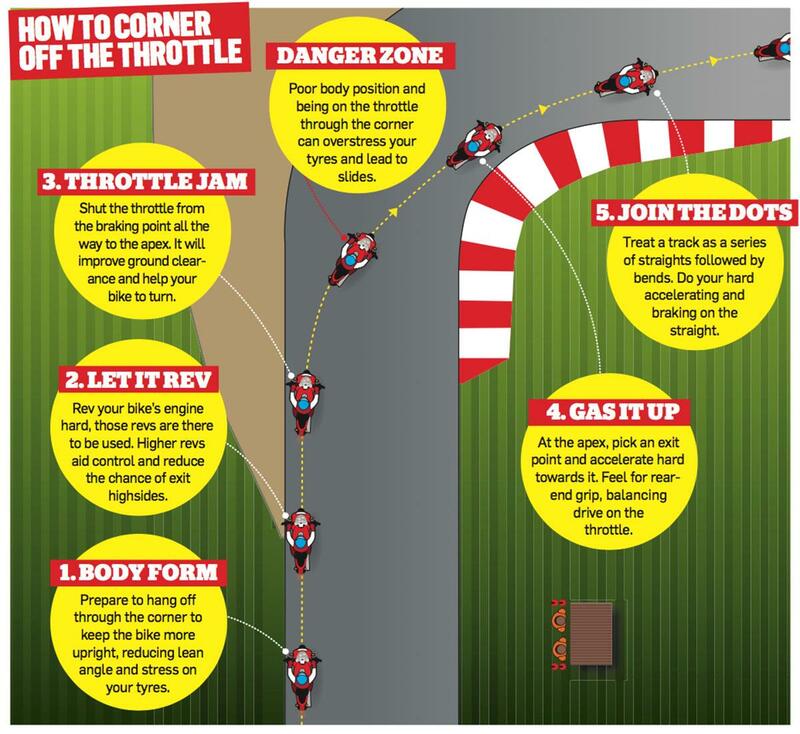 Cornering is one of the most exciting parts of riding a motorbike, especially on the track. It’s also a tricky part to get right and is where most accidents happen. 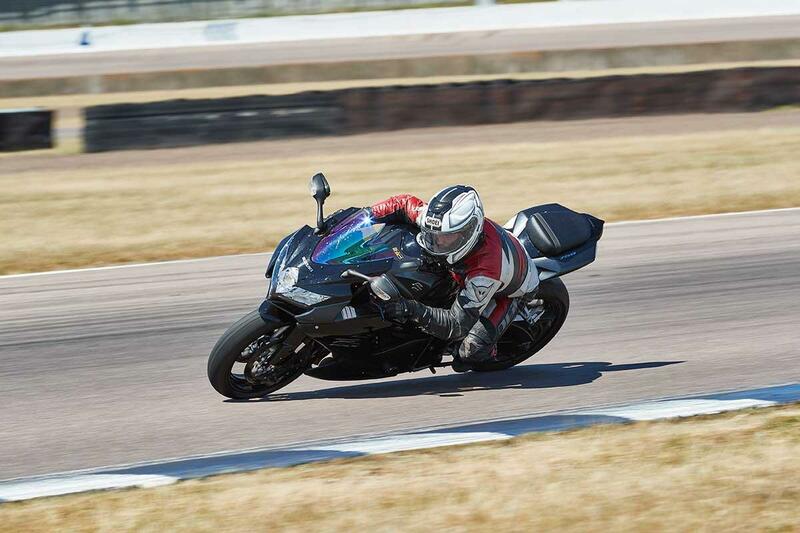 This can be because riders try to corner faster by increasing their lean angle with the wrong body position, or applying the throttle before the apex. 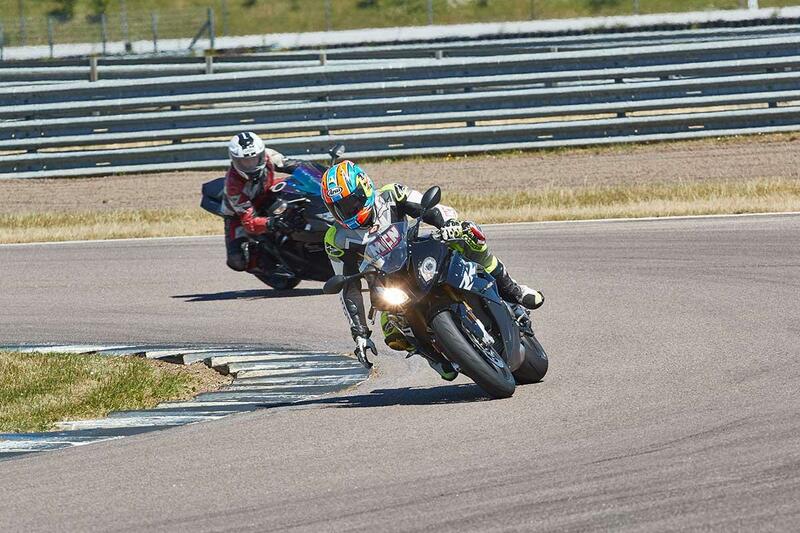 However fast you are down the straights, you’ll never meet your true track riding potential without mastering corners. So here is a guide to making the most of every turn and improving your track riding technique. Prepare to hang off the bike through the corner to keep the bike more upright, reducing lean angle and stress on your tyres. Body positioning is key: lots of riders don’t hang off the bike enough leading to far too much bike lean and slides, which can be dangerous. Break your corner entry down into sectors so that you know where to set your body position, brake, shut the throttle and spot the apex. Don’t be afraid to carry plenty of revs at this stage. Higher revs aid control and reduce the chance of exit highsides. On track you want to roll into the bend with the throttle shut, scrubbing speed, as opposed to accelerating through it. 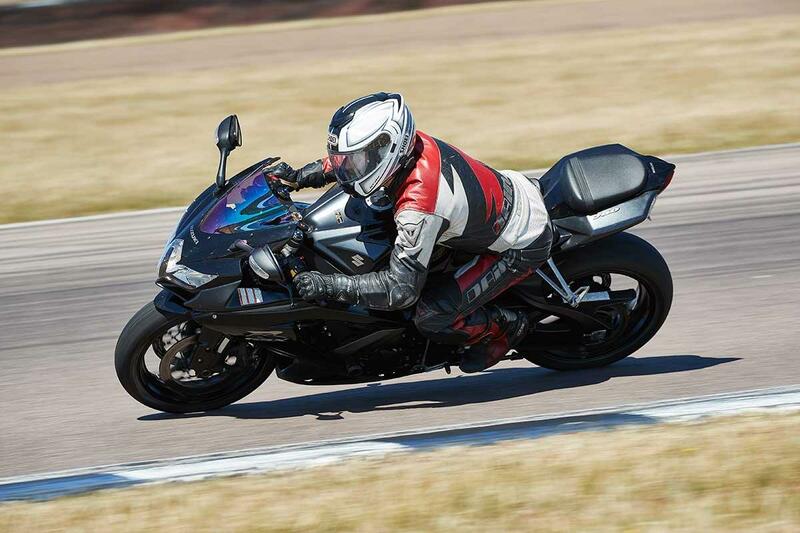 Off-throttle cornering helps the bike turn, so if you can reach the apex with the throttle shut, the bike will turn faster, have more ground clearance and be safer. Shut the throttle all the way from your braking point to the apex, being on the throttle through the corner can overstress your tyres and lead to slides. Once past the apex, pick an exit point and accelerate towards it as hard as possible. Because as you are accelerating the bike will start to stand up all on its own. Feel for the available grip at the rear, balancing drive on the throttle. You can always come off the throttle slightly if you are running out of track and need to tighten your line. You should treat the track as a series of straights followed by bends. Do all your hard accelerating and braking on the straights. The MCN Circuit Guide is the perfect way to get to know tracks you’ll want to ride or race on.